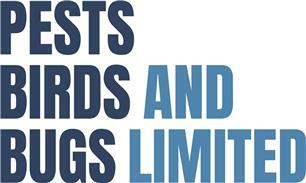 Pests Birds and Bugs Ltd - Pest/Vermin Control based in Pennington, Hampshire. Peter and Elizabeth operate this family run business providing a punctual, professional and effective service for both Domestic and Commercial Pest Control. Our area covers towns and villages from the Dorset border areas across to and including Southampton including the New Forest National Park. Please contact us for help with Rats, Mice, Moles, Wasps, Bees, Fleas, Moths, Beetles, Bedbugs, Flies, Cockroaches, Ants, Woodworm, Rabbits, Squirrels, Pigeons and Solar Panel Proofing, Loft Cleaning, Fumigation, Sterilization and Bird-Proofing. Peter and Elizabeth are qualified and Insured pest controllers. Peter has passed his RSPH Level 2 with Distinctions in all 3 exams in March 2018. We are happy to offer General Advice and Free Estimates and are Open seven days a week from 07:00 to 20;00 on 073 888 92414.